Here’s to space cowboys – those of us using social media in interesting & intriguing ways to transform workplace learning. The context: my sister-in-law was visiting us in Africa & being a fan of African drumming she was on the hunt to buy a drum. 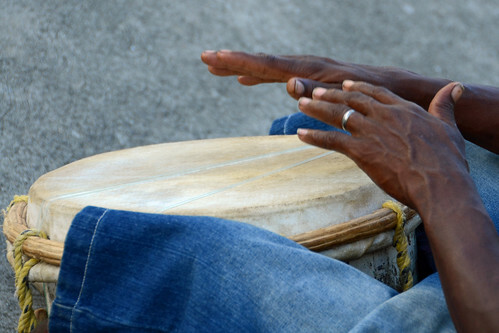 The dilemma: a friend took her to a place where they were sold but, being relatively new to African drumming, she wasn’t sure if it was up to her teacher’s standards. The solution: she videoed a guy playing the drum & sent the video to her teacher (see the clip below). The result: while she didn’t end up buying the drum (something about the lower end sounds), she had a blast with the process & I had a spiffy new example of an easy peasy way to use social media.